History/Mythology: Peridot has been used as a healing stone for over two thousand years before the birth of Christ and has been recorded in the middle ages as being a stone that could be used to ward off evil spirits and bestow wisdom and friendship on the wearer. 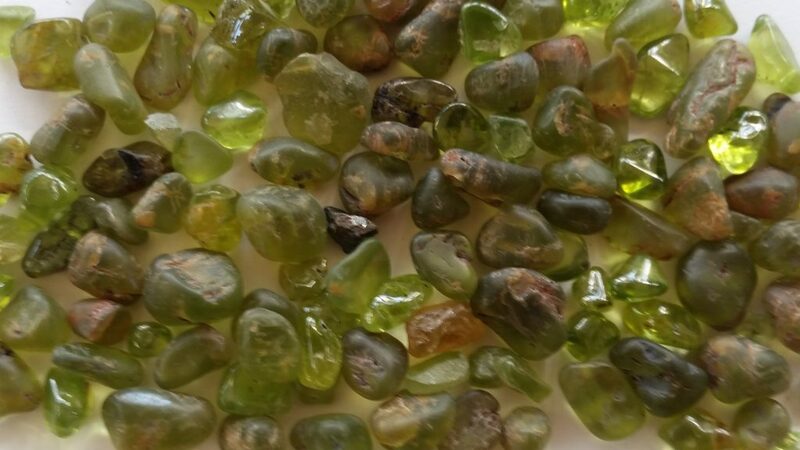 Peridot is a protective stone for the aura and helps to repair and strengthen it. Peridot neutralises toxins on all levels, purifiers and helps to releases old baggage that we are carrying. It activates the heart Chakra and solar plexus and helps you to detach from people & places from the past that are in anyway restricting you from moving forward. It assists to reduces stress & shows you how to forgive yourself & take responsibility for your life and where you are due to your own actions or inaction. Peridot is a joyful stone that helps you to see the lighter side of yourself and life. Healing – Tonic: regenerates tissue, strengthens metabolism. Aids heart, thymus, lungs, gallbladder. Helps in childbirth by strengthening abdomen & relieving pain.